Makers Empire is used by 15,000+ teachers in schools in over twenty countries around the world, including Australia, the USA, China, England, Ireland, Canada, Germany, Spain, the United Arab Emirates, Hong Kong, and Vietnam. Makers Empire’s Global Design Program pairs together Makers Empire schools in different countries and challenges their students to work collaboratively to design solutions to real-world problems or needs. As the students work together to solve their design challenge and meet their learning goals, the students gain a new understanding of another country and culture and forge new friendships. 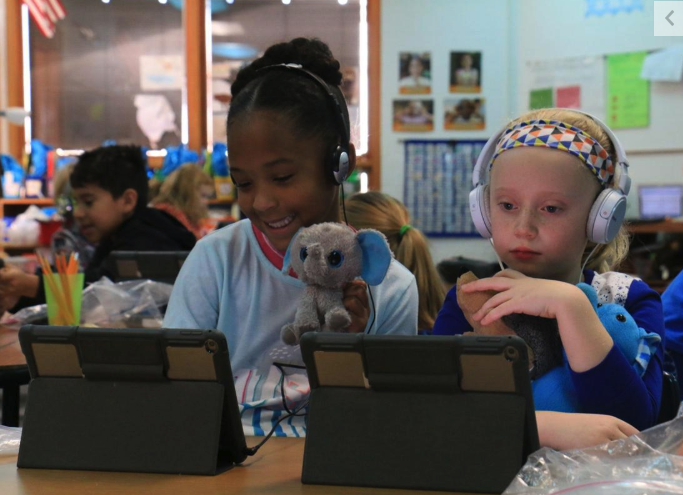 In September and October 2018, students from Stoner Prairie Elementary School in the USA partnered with students from St Michael’s College in Australia for a Global Design Program project about water and aquatic animals. Students loved sharing their Makers Empire 3D designs and culture with each other by creating short videos for their peers to watch. Using video to share their work was a great way to manage the difficult time difference between the two countries and keep students engaged. Learn more. Students from Immanuel College in Australia and ISA International School in China teamed up for the three-month City Exchange Project. The students worked together to investigate the key factors that make up a liveable city. Learn more. Year 5 students from Nima School in Iran collaborated with Year 6 students from St Michael’s College in Australia. The students were challenged to use their design skills to help students in another country find out more about the country they live in. The boys in both classes began by generating as many ideas as they could about buildings and structures that have cultural and historical significance in each country. 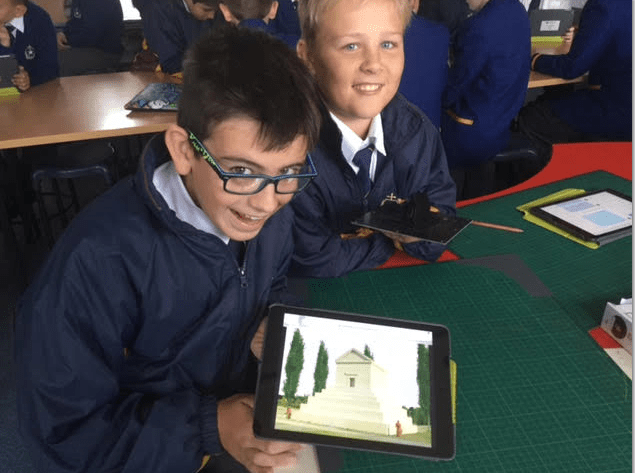 They then used Makers Empire 3D software to design their own versions of national landmarks. Learn more. Research iconic buildings and structures from your own country. Then create a shortlist of landmarks and create designs of them using Makers Empire 3D software. Exchange them with students in another country to learn more about each other’s culture. Design 3D creatures or monsters for students in another class to print out and vice-versa. The students could create a photo diary of activities that they do with their creatures or monsters to give their peers an insight into their daily lives. Design different components of a city or a space station separately and bring them together to complete the design. Identify a problem in your schools or communities and put your heads together to solve it. The Global Design Program is open to all current Makers Empire school customers. To sign up to the Global Design Program, click the button below. You will then be prompted to log in to the Teacher’s Dashboard (if you’re not already logged in) so you can access the Global Design Program sign up page. If you are not already a Makers Empire customer and would like to subscribe, click on the request a quote button below. You will then be prompted to provide a few more details so we can prepare a customised quotation for you.